Laurel Hill welcomes you! Photo by Samantha Madera, 2012. Discover the engaging stories that echo within the walls of these six historic sites throughout Fairmount Park in Philadelphia. 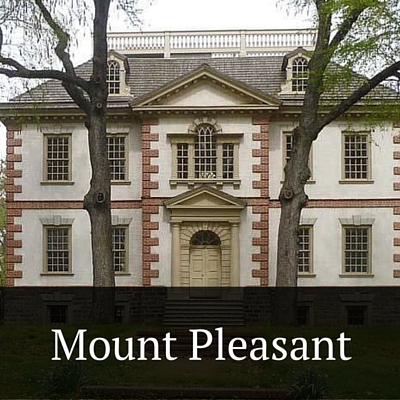 Each house has its own personality and offers a glimpse into the intriguing public and private lives of prominent Philadelphians during an important time in American history --- just prior to and after the American Revolution. Within the lovely grounds of Fairmount Park, these six “Charms” – the houses maintained as historic house museums – served as the rural summer villas for well-to-do families during the eighteenth- and early-nineteenth century. They are considered among the most significant architectural examples of this time period in the United States. Their styles, furnishings, history and stories illustrate the culture and domestic lives of the time. Today, these houses are preserved as treasured jewels of our collective past. The Charms member houses are informative individually, but experienced as a whole, you can truly imagine life in the past. Some of our nation's most important and well-known Founding Fathers, such as Benjamin Franklin and John Adams, visited these homes and their inhabitants... and you should too! Experience the Charms year round – with family, friends, children, school groups and others. Come for a docent-led house tour – and plan to take part in events held throughout the year at various homes, including the popular Holiday Open House Tours, Concerts by Candlelight, lectures, garden festivals and more. While at the Charms Houses, enjoy other recreational pursuits and the greenery of Fairmount Park as well as the other cultural sites in the area. We welcome you to learn more about the Charms! 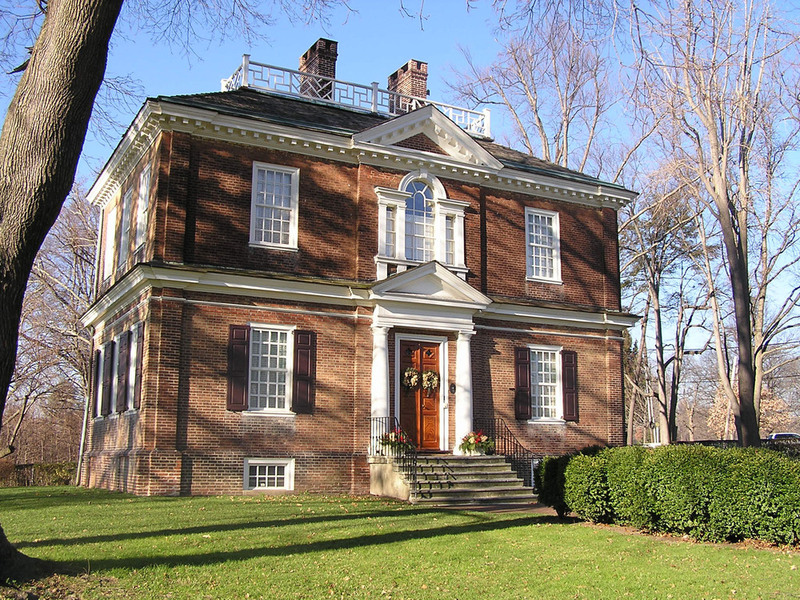 William Penn, who had a villa called Pennsbury Manor on the Delaware River, set the stage for the development of these homes when he and his surveyor, Thomas Holme, laid out the City of Philadelphia in 1682. When Penn sold some of the best (and most expensive) building lots in the city, he included the added incentive of a bonus of eighty acres in the so-called “Liberty Lands” region, just north and west of the city proper. These expansive suburban areas were remote country lots owned by many of the most prosperous residents of the city. Philadelphia in the late 1700’s was a powerful and busy center of commerce; many wealthy citizens sought elegant country retreats to escape the urban environment, with its heat and periodic epidemics. A country villa brought refuge from the city and exhibited social status. The owners represented the rising and prosperous merchant class of the time. These families sought places that provided fresh air as well as space to pursue leisure activities such as gardening, sporting, social ocassions, all of which cemented social and political ties. The houses reflected a range of architectural styles and changes in domestic tastes, from the symmetry of Palladian style to the lightness of Federal, with a love of neo-classicism that continued into the 19th century. Following several serious epidemics of yellow fever over many years---the worst of which occurred in 1793---city leaders sought an efficient and clean water system for the city. The Fairmount Water Works opened in 1815 at the foot of Fairmount Hill (now the site of the Philadelphia Museum of Art). The Water Works was praised for its efficiency, and for the beauty of its neo-classical buildings, but the dam added in 1822 caused problems for some of the river villas above it. Swamp conditions and the flooding of meadowlands began to make country living seem less desirable. Furthermore, the City sought to preserve the quality of the river and limit industrial development of the land above the Water Works - so they began purchasing estates along the Schuylkill River to create a large public park. In 1855, Fairmount Park was born and many of the original villas came under Fairmount Park ownership. 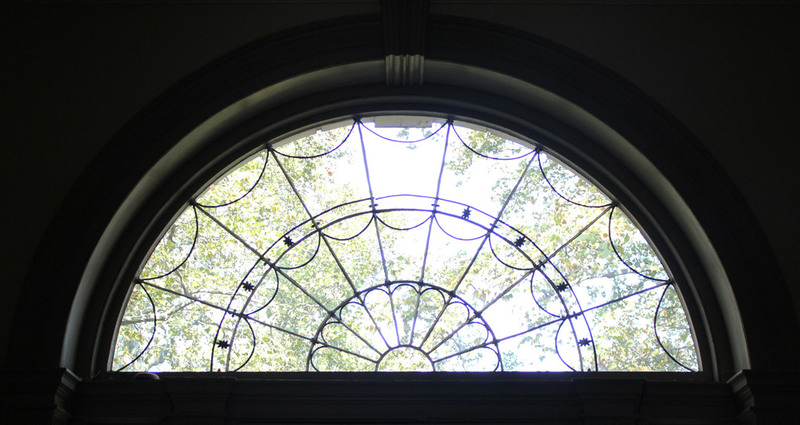 Lemon Hill fanlight. Photo by Samantha Madera, 2012. Over the years, many of the houses in Fairmount Park were adapted to other uses, primarily for recreation. This proved to be critical to their preservation, as buildings generally underwent only minor, and usually reversible, changes. The six Charms houses have now entered the current century well preserved for posterity and are considered by many experts to be the most significant group of 18th and early 19th century domestic architectural examples in the United States. Philadelphia Parks & Recreation is the city agency charged with ownership of the properties. The homes are managed in partnership with the dedicated stewardship of the organizations listed below. 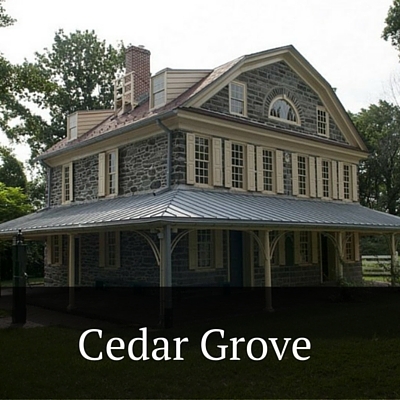 Cedar Grove and Mount Pleasant are managed by the Philadelphia Museum of Art. 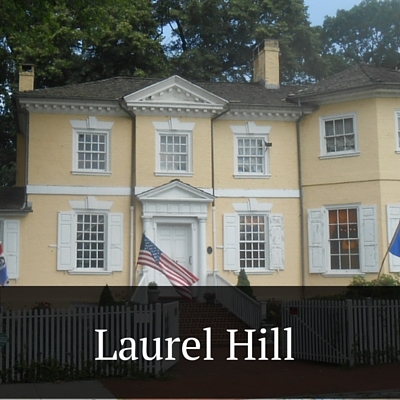 Laurel Hill is managed by Women for Greater Philadelphia. Strawberry Mansion is managed by the Committee of 1926. Woodford is managed by the Naomi Wood Trust. Mount Pleasant detail by Samantha Madera.